For the intrepid budget traveler, few frontiers offer as many challenges—and potential victories—as Europe. It may seem like sky-high prices, particularly in summer, are a nonnegotiable in Europe, but travelers willing to expand their frontiers will encounter dazzling affordability along with dozens of new reasons to love the continent. To find cities offering exceptional value right now, we looked at five value indexes that measure everything from flight prices to average hotel costs to the amount you can expect to pay for a pint of beer in a particular city. Often, the cities featured on lists like these come with more expensive flights, so we also factored in average airfares by season. 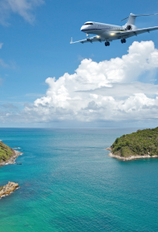 For the places where flights are pricier, we offer some suggestions for keeping airfare costs down. What we found is that while there are deals to be found in Western Europe, for a truly affordable European experience, your best bet is to look east. Bon voyage! Or, should we say, drosu braucienu! Affordability Lowdown: Topping Price of Travel's European 3-Star Traveler Index for 2013—which compares the cost of a centrally located, well-reviewed three-star hotel, plus the cost of transportation, some activities, food and drink—Sofia, Bulgaria, earns the title of Europe's cheapest tourist city, coming in at under $50 a day (all prices mentioned are accurate as of press time). Budget-Travel Challenges: Airfare to Sofia is somewhat expensive, and there aren't a ton of good alternative options, though Sofia does have connecting service from other European cities on low-cost carriers such as easyJet and Wizz Air. If you're thinking of relying on train or bus service from another, more affordable European entry point, know that it will likely be a long, long journey. Affordability Lowdown: While they're not among the absolute cheapest spring and summer airfares, flights to Berlin from the U.S. are definitely on the cheaper end of the spectrum, in some cases beating out flights to gateways such as Paris and London. But it's not until you take a look at accommodations costs that Berlin's affordability really starts to shine. Healthy competition among hostels and cheaper hotels keeps budget accommodations inexpensive. According to CNN, Berlin is also home to some of the world's most affordable five-star hotels, a definite perk for budget travelers seeking something more upscale. Even when you factor in food and activities, Berlin remains a bargain; in fact, the city made this year's European 3-Star Traveler Index, with an average daily cost of $108 per traveler. Budget-Travel Challenges: Right now, the euro is the primary challenge for budget travelers visiting Berlin. The Economist's Big Mac Index suggests that the euro is overvalued by about 12 percent, meaning the exchange rate isn't maximizing value for travelers converting U.S. dollars. But it's not all bad news: Due in part to recent eurozone struggles, we're seeing exchange rates that are at least decent, compared to the high rates of the last five years. Affordability Lowdown: In a country whose currency offers Americans an excellent exchange rate, Riga stands out as a city with plenty to offer even those on a tight budget. Hotels.com's Hotel Price Index rates Riga the second most affordable city in Europe for accommodations, with an average price of about $82 per night. The city also scored top spots on Price of Travel's European Backpacker Index for 2013 and European 3-Star Traveler Index. Budget-Travel Challenges: Airfare to Riga tends to be more expensive than flights to other major European cities. If you're looking to save, you might consider booking a less expensive ticket to a city with connections to Riga via low-fare carriers such as Ryanair or easyJet. When you're pricing this out, however, be sure to factor in all the added fees (including steep baggage and check-in fees) you'll incur by flying these low-cost carriers. And note that you may have to change airports, since low-cost carriers tend to favor smaller airports, sometimes in inconvenient locations. Affordability Lowdown: Lisbon stands out among European destinations for its comparatively low spring and summer airfare prices. In fact, from San Francisco, average summer airfares were about half as much to Lisbon as they were to London. And according to Hotels.com's Hotel Price Index, year-over-year accommodations costs dropped by seven percent in 2012, bringing the average nightly price of a hotel down to $115. Budget-Travel Challenges: As with Berlin, the biggest challenge in Lisbon is the euro itself, which doesn't offer as much value as some of the other currencies on this list. However, eurozone troubles have driven the euro down enough that travelers exchanging U.S. dollars will still find decently good value. Affordability Lowdown: Kiev is the affordable capital of a country we recently named one of our 10 Places You Should Go While They're Still Cheap. The European Backpacker Index for 2013 puts the daily cost of accommodations, food and drink, and some activities and transportation at a mere $26. And according to The Economist's Big Mac Index, the Ukranian hryvnia is undervalued by nearly 50 percent against the dollar, giving travelers even more spending power. Budget-Travel Challenges: Its off-the-beaten-path location offers a lot of benefits, but it also equates to higher airfare prices. A lack of service from low-cost carriers means that savings options are limited, so if you're looking to save, keep an eye out for airfare sales from larger carriers serving the country. Affordability Lowdown: Spring and summer airfare prices from the U.S. to Istanbul are consistently among the lowest to Europe. While this might seem surprising, given that a flight from the U.S. to Turkey is much longer than a flight to, say, Madrid, it actually makes a fair amount of sense: Istanbul has become a worldwide air hub (and earned itself a top spot on our Destinations to Watch in 2013 because of it), with plenty of competition to keep costs low. And attesting to its wealth of budget accommodations, Istanbul secured a place on the European Backpacker Index for 2013. Budget-Travel Challenges: Unless you're willing to fly between cities, Istanbul is pretty far off Europe's beaten path, so combining a trip there with stops in other European cities isn't a simple matter of a Eurail Pass or a bus ride. And while Istanbul is wallet-friendly for those who are cost conscious, it's a trendy destination full of restaurants, bars, and cafes, so it can get expensive quickly if you decide to live it up. 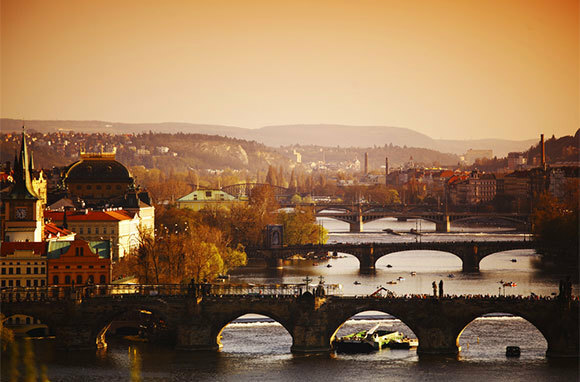 Affordability Lowdown: Its popularity over the last decade has caused prices to rise somewhat, but Prague can still be an impressively affordable city, particularly for backpackers willing to settle for modest accommodations. The European Backpacker Index for 2013 puts the daily cost of on-the-cheap lodging, food, drinks, and activities at just $41 per day. Even those not willing to scrimp to save should be able to find good deals: Hotels.com's Hotel Price Index puts the average price of a hotel in Prague at $107 per night. And everyone can still toast the appealingly low cost of celebration—PintPrice.com reports that the price of a pint of beer in Prague averages $1.06. Budget-Travel Challenges: If the last time you visited Prague was more than a decade ago, you might find prices much higher than on your last visit. The key is to keep it in perspective: The city may no longer be a total steal, but it's still a great deal. And with so much to offer, it's still more than worth the uptick in cost. Affordability Lowdown: There's a lot that stands out to make Budapest an affordable European destination. Its currency, the forint, offers solid value to Americans abroad. It's easy to eat, drink, and sightsee on a budget. And at the end of the day, you won't have to spend much for a decent place to stay: Budapest receives high affordability marks for backpackers and budget travelers, and even when you factor in more expensive hotels, the average cost of a night's stay in Budapest still comes in under $100. Plus, many of the thermal spas that make the city famous are affordable enough to work into any trip. For instance, at Dandar Bath, discounts on Wednesdays drive the admission price down to about $4. Budget-Travel Challenges: Airfare to Budapest is often (though not always) on the expensive end of the U.S.-to-Europe airfare spectrum. 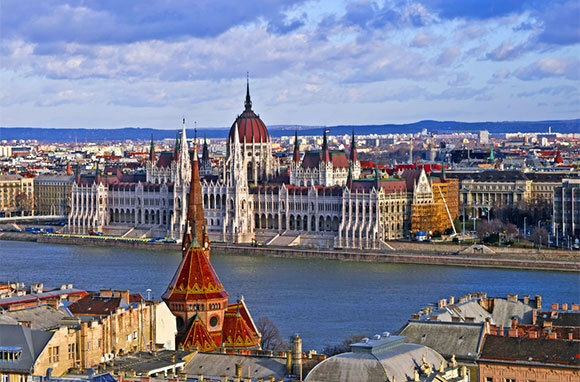 However, Budapest is about three hours by train from Vienna, which in a spot check had slightly lower fares for spring and summer flights than Budapest. And the city is well connected to other European cities by low-cost carriers, including airberlin, easyJet, and Ryanair. Affordability Lowdown: Krakow has affordability all sewn up. 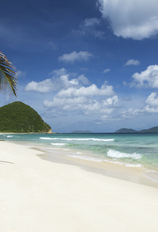 Its currency offers U.S. travelers good value right now. It ranks high on accommodations-affordability rankings. In fact, it's the third-cheapest city on the European Backpacker Index for 2013 and the fourth-cheapest on the European 3-Star Traveler Index, with daily average lodging and travel costs of $25 for backpackers and $58 for budget travelers. And here's another thing Krakow has going for it: The Polish airline LOT has been running periodic fare sales for flights from New York or Chicago to Krakow. These sales tend to run for a short time only, but they offer some really impressive deals on airfare (for instance, $712 round-trip, including taxes and fees, for a May flight). Budget-Travel Challenges: If you want a really great airfare to Krakow, you'll likely have to work for it by keeping tabs on sales and even thinking creatively about connecting cities. If you've traveled around Poland before, you might consider Krakow a bit pricey in comparison to the rest of the country. But the city offers such a rich density of historic buildings (it was spared much physical damage in World War II) and attractions that it seems only fair. Affordability Lowdown: It's a city Lonely Planet colorfully calls "eccentric and soulful," and one that offers the best overall hotel prices in all of Europe. According to Hotels.com's Hotel Price Index, Vilnius in Lithuania has an average per-night hotel price of $80, putting accommodations costs within reach of budget travelers. Sweeten the pot with a favorable exchange rate, quirky attractions, and Europe's largest baroque old town, and you've got an intriguing and affordable destination. Budget-Travel Challenges: We found a few exceptions, but in general, airfare from the U.S. to Vilnius tends to be a bit more expensive than to bigger European airports. However, since low-cost carriers, including Ryanair and Wizz Air, serve area airports, it's worth doing some comparison shopping before resigning yourself to a higher fare.